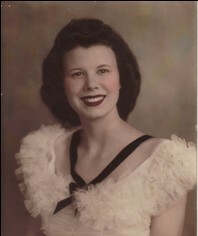 Julia Frances Collins Downs, 89, was born in Waycross Georgia, September 14, 1929. She is the daughter of Thomas Jefferson Collins and Zettie Wainright Collins. Julia died peacefully in her sleep at 9:30 PM March 21, 2019 in Orem, Utah after a battle with Dementia and Alzheimer’s. Julia grew up on a small dairy farm a few miles outside of Waycross with her 2 older brothers and 3 older sisters. She graduated from high school at age 16 and went to work as a telephone operator for American Telephone and Telegraph Company. Julia met Alva Crawford Downs, Jr. at the Five and Dime in downtown Waycross when Julia was on a work break. 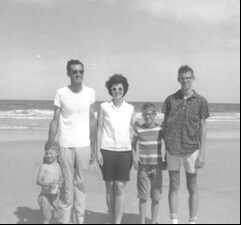 Al was a young project manager who was in Waycross working on a construction project. They began dating after Al invited Julia out for pie and kept up a long-distance relationship after Al was transferred to Roanoke Virginia. 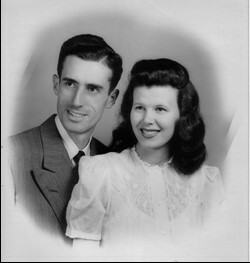 Al and Julia were married November 26, 1948 in Waycross and moved immediately to Roanoke. 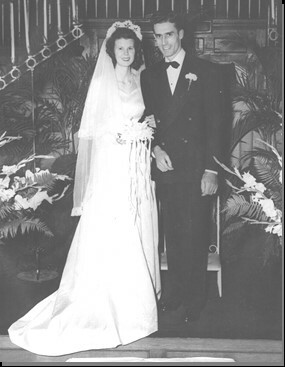 Al and Julia shared 54 years of marriage together and had 3 sons. Wayne Collins Downs was born on December 27, 1949 in Monroe Georgia. Glenn Alan Downs was born on August 29, 1954 in Albany Georgia. Phil Alva Downs was born on February 14, 1961 in Albany Georgia. Julia and family moved from city to city with Al who worked for many years as a project manager, building a variety of large commercial buildings. During this time the family moved after each building was completed and had the opportunity to experience a considerable cross-section of the eastern United States. They lived in Waycross GA, Roanoke VA, Beckley WV, Monroe GA, Albany GA, Decatur AL, St. Louis MO, Springfield MA, Macon GA, and Athens GA. In 1974, Al started his own painting company and settled with his family in Daytona Beach FL, where they made their home for 22 years. In 1996, a retired Al and Julia realized Al’s dream to return to his native North Georgia. They sold their home in Daytona Beach and moved into a place with a deck overlooking a North Georgia forest. Julia stayed in Demorest GA following Al’s passing in 2003 supported by dear friends. In April 2013, she moved into an assisted living center in Utah, close to family there. Julia is a woman of kindness and service to others. She is a woman of faith and believed that families are forever. She was sealed for time and all eternity to Al in the Orlando Temple of The Church of Jesus Christ of Latter-Day Saints in 1994. Julia Downs is the last of her generation. She was preceded in death by the passing of her husband Al, her siblings, her brothers-in-law and sisters-in-law. We imagine the joy on her face as she experiences wonderful reunions with loved ones in heaven. 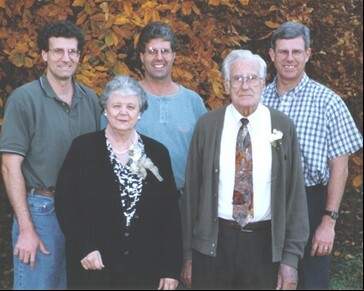 Julia is survived by 3 sons: Wayne Collins Downs of Cedar Hills UT, Glenn Alan Downs of Palm Coast FL, and Phil Alva Downs of Peachtree City GA. 3 daughters-in-law: Jill, Gail, and LaNae. 11 grandchildren: Bonnie, Erin, Lindsey, Julia, Max, Kelly, Steven, Joshua, Carli, Allison, and Jefferson. 15 great-grandchildren: Sidney, Tyra, Kaitlyn, Benz, Bryce, Scott, Haley, Caleb, Lena, Abby, Tyler, Blake, Janie, Jane, and Evalyn. 1 great-great-grandchild: Owen. Julia is also remembered by so many friends whose lives she touched. Funeral services will be held at a later date in Demorest, Georgia. Interment will be in the Yonah Memorial Cemetery, Demorest, Georgia.